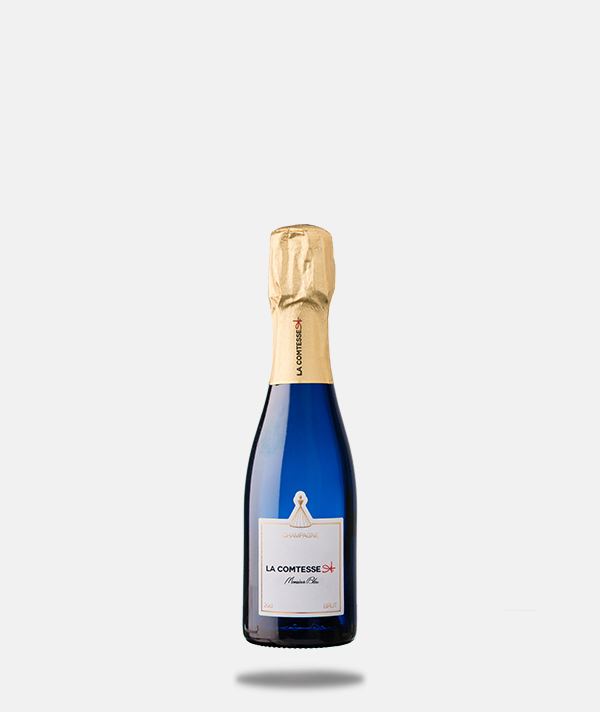 Monsieur Bleu is the Authentic Cuvee of the Maison This delicate and intense “Blanc de Noirs” is a unique combination of the two black grape varietals of Champagne: Pinot Noir and Pinot Meunier. 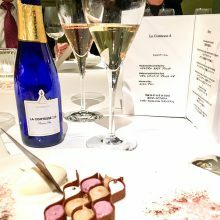 This Champagne Brut will seduce the epicureans. 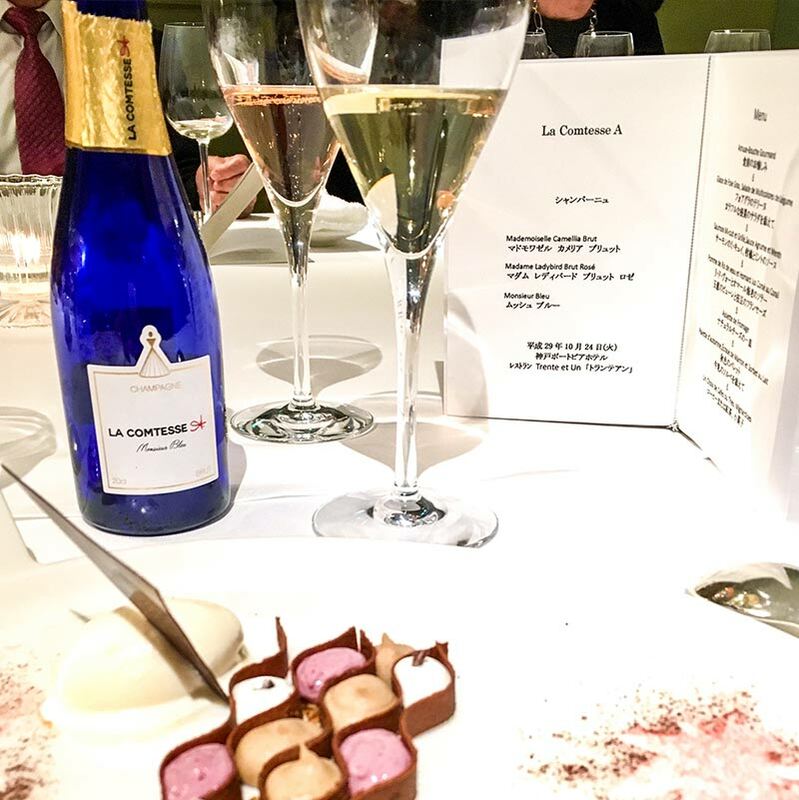 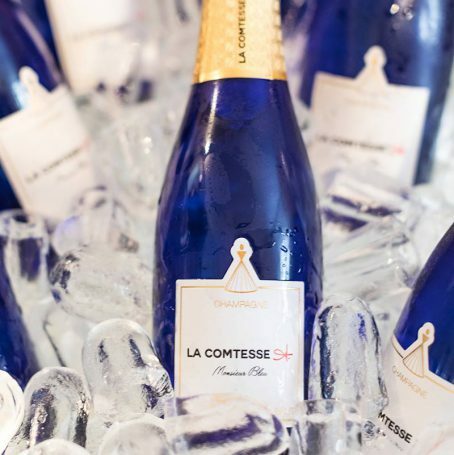 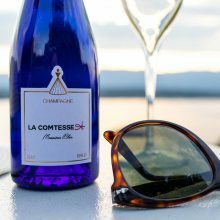 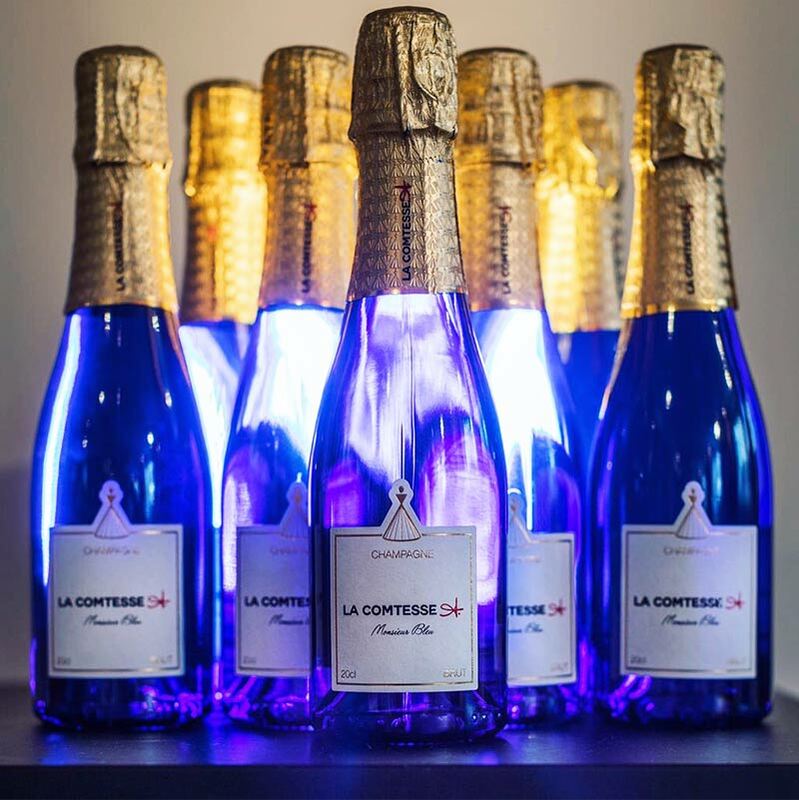 Each bottle of La Comtesse A. is aged in the cellar for at least three years. and completed with 35% of reserve wines aged in tuns. 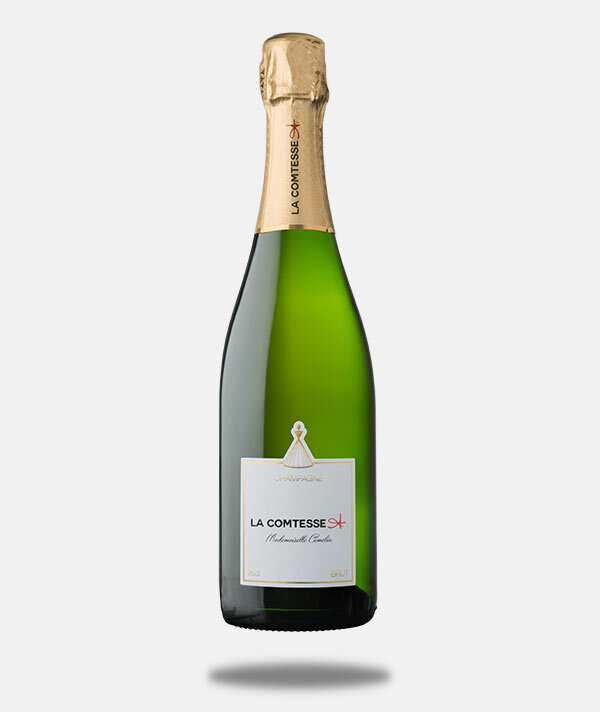 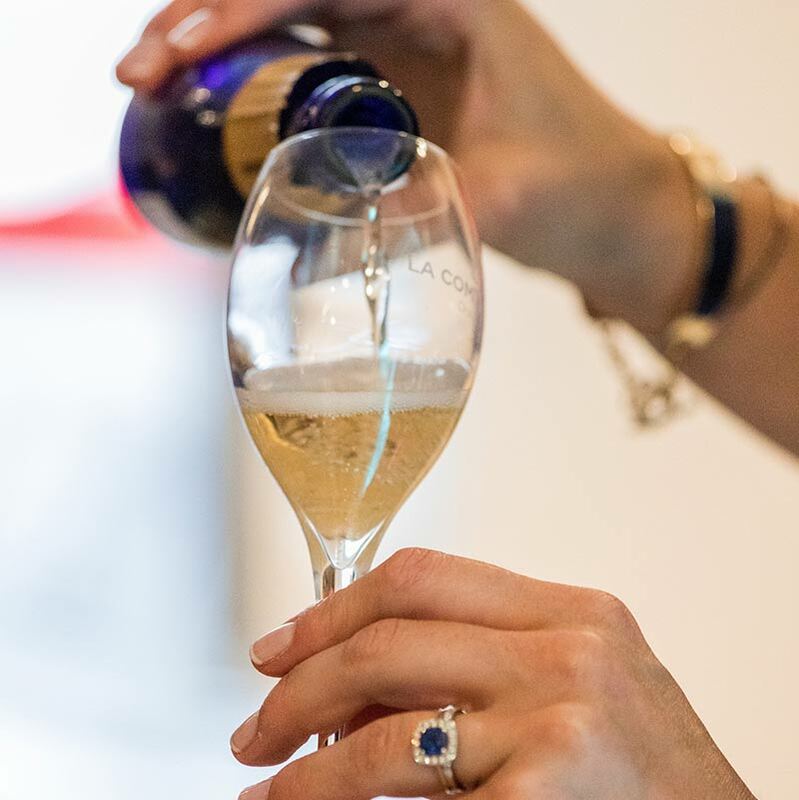 Peach, nut and brioche notes suggest intense aromas of this Champagne with a unique identity. 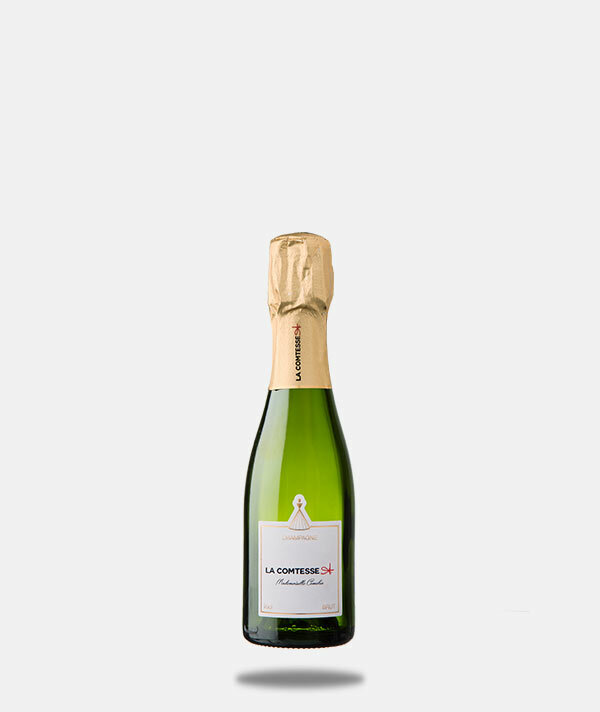 Fresh with a very crisp final note: the roundness of a champagne “Blanc de Noirs” very lively. Monsieur Bleu can be served as an aperitif. 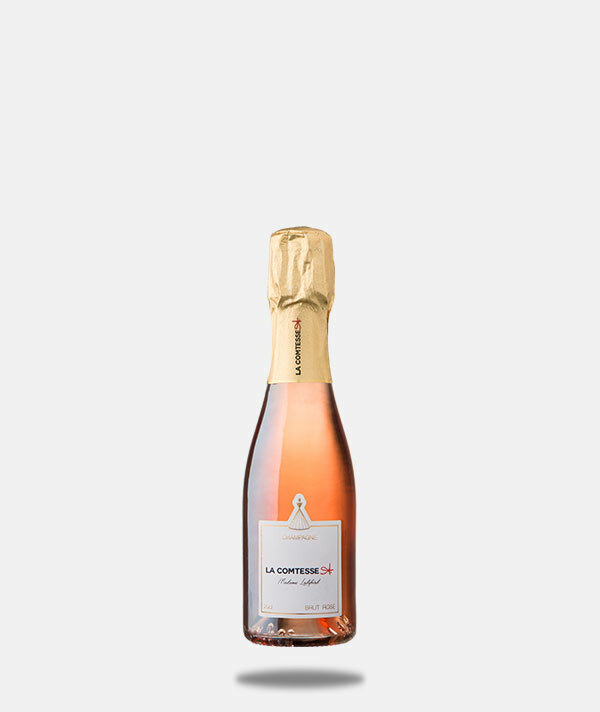 It is also an ideal Champagne to accompany cheese, raw ham, or a dish with character. 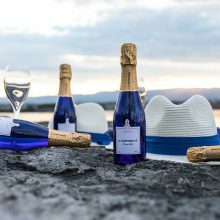 Monsieur Bleu is an excellent aperitif Champagne.Ideally served with dishes with characters, perfect companion of the epicureans.